Spotlighting some of the FGLIs that are doing big things on- and off-campus. Keep reaching for the stars, y'all! This week, we're giving a shout-out to another awesome senior who has also been a well-known leader in the FGLI community: Priya Singh (SY '19)! Priya is from Far Rockaway, NY, and is pursuing a B.S./M.S. in Biomedical Engineering. She has been heavily involved in FGLI-serving organizations and groups, starting with her participation in FSY and later expanding to her involvement in QuestBridge, 1vyG, and Matriculate. Her summers have consisted of studying abroad in Spain in addition to the research she continues during the academic year. Despite her impressive schedule, she has always prioritized mentorship and cares about helping younger FGLI students succeed, whether through Matriculate, as an FSY counselor or as a FroCo (currently). When asked about her involvement in the FGLI Community, Priya shares, "My involvement with the FGLI community started when I was invited to participate in the First-Year Scholars at Yale program (FSY) the summer of 2015. This program really opened my eyes as to how my Title I public high school did NOT prepare me for the rigors of an Ivy-League education. It also taught me that I BELONG at Yale and that this school has a community dedicated to helping me succeed here. The FGLI community here is also my family. I have met some of my lifelong best friends through organizations like QuestBridge, Matriculate, FSY Student Council, ALE, etc (the list goes on and on). One of the main factors that has motivated me to stay involved is that I want to share some of the knowledge and experience I’ve gained throughout my time here with others." We are so grateful for all the work and energy you have given to the FGLI Community during your time, and we are happy to see your story recognized and celebrated! This week, we want to give a very special shout-out to a leader who has shaped the FGLI community here at Yale as it exists today: Rayan Alsemeiry ('19)! From Mesa, Arizona and from a Middle-Eastern family background, Rayan is in the Jackson Institute's Global Affairs major and in Yale Law's undergraduate course in International Human Rights. He has pursued his passion for social justice through participating in organizations like the Bronx Defenders, the ACLU and Human Rights Watch. Rayan's own experience as a low-income student has driven his academic and extracurricular focus on poverty, social exclusion, and political dislocation, but it has also helped him work towards the needs of FGLI students here at Yale. He has been involved in the FGLI community from his first year, from attending the 1vyG conference at Harvard to co-chairing it at Yale the next year. He has also been involved with A Leg Even, and was a part of the student effort that created the Domestic Service Award with the Office of Undergraduate Financial Aid, which allows low-income students with the financial empowerment to pursue professional opportunities. And most recently, Rayan has been recognized for this work with the annual Yale Jefferson Award, which honors students "who have given back in extraordinary ways. (Read more about this award and Rayan's work here!) From the FGLI community, we congratulate you on this awesome achievement, and we thank you for everything you have contributed! In our first shoutout post-fall break, we'd like to introduce you all to the meme queen, Gabriella Blatt (Stiles '21)! 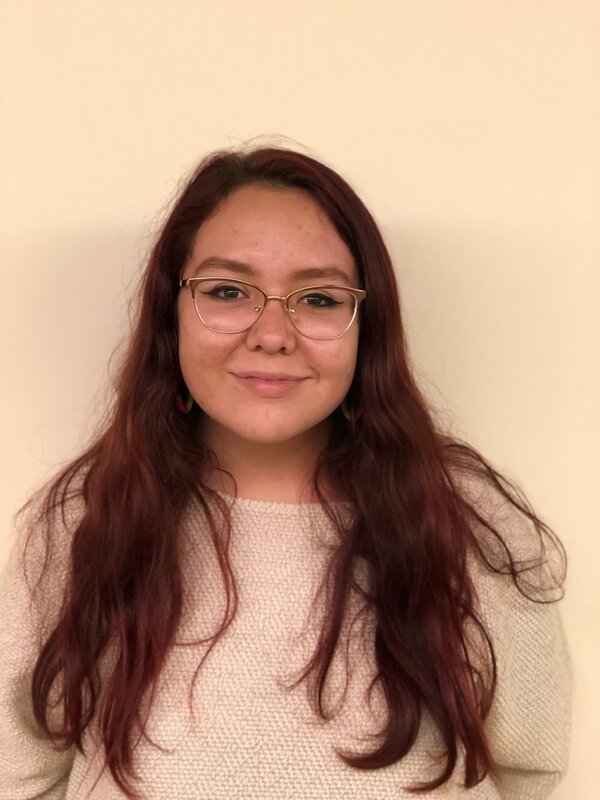 Gabriella comes from the Rocky Boy's Indian Reservation in Montana and is a double-major in English and Ethnicity, Race, and Migration, hoping to study environmental literature and its intersections with environmental justice. Additionally, she is involved with the Association of Native Americans at Yale, Fossil Free Yale, and the Yale Environmental Humanities Initiative. When asked about her FGLI experience, she says, "I've definitely had my share of hardships while being FGLI at a place like Yale. I had a rough time transitioning from my rural, 50-person school to a place where it felt like you could easily get lost. I dealt with imposter syndrome for most of my first year. Yet, my identity as a FGLI student has fostered some of my most rewarding experiences at Yale thus far. I wouldn’t have the friends that I have today, know about all of the resources that Yale provides, or know my self worth. Every FGLI student should know that they are succeeding at Yale by just existing here. We’ve gone through so many hardships to get here and to remain here." Thanks for sharing us some wisdom Gabriella! We're grateful for your humor and your work - you're a champ and an inspiration! This week we're shouting out one of our FGLI Student Ambassador leaders who has been doing much on the lowkey: Jaster Francis (BC '20)! Jaster is double majoring in Philosophy and Political Science with a concentration in American law and justice, and he is a Gates Millennium Scholar, Captain for the Ron Brown Leadership Network Captain, and has received the "Y-Work Award for Outstanding Undergraduate Student Employees" from Yale University. On top of being an Ambassador, he is currently the Head of Logistics for the Black Solidarity Conference and has worked as an Operations Assistant for the Arthur Liman Center for Public Interest Law at Yale Law School. When asked about his involvement with the FGLI community, Jaster shares, “My passion lies in reducing social inequality both on and off campus. Beginning my college career as a low-income student at Yale University, I had a hard time adjusting to life at Yale. To that end, I work as a FGLI Student Ambassador to the Yale College Dean's Office and I worked over the past 6 months to start-up the Yale College SafetyNet Portal. Additionally, during spring break of my first year, I organized a drive that gathered enough food for over 500 of the homeless citizens in New Haven [I have attached a screenshot of the Overheard at Yale post in this email]. In addition to these activities, I teach free swim lessons to New Haven youth through "Dive In!" at Yale. We see you Jaster, and we are so thankful and lucky to have you as a leader in our FGLI community! We're kicking off October with a shout out to one of our newer members of the FGLI community Kimberly Wenceslao (BK '22)! Kimberly is a prospective Political Science/ER&M double major whose ultimate goal is to attend law school to immerse herself in refugee/immigrant/human rights law. This week we want to shout out one of the Academic Strategies Mentors in our FGLI community - Nune Garipian! A junior pursuing a degree in Political Science, Garipian was one of four community college students admitted in 2017. Nune is involved with the Yale Armenian Network, Mental Health Educators, the Offices of Public Affairs and Communication, and she is an Academic Strategies Mentor as well as an advisor for transfer students. Read more about her story and her article in Forbes, HERE. Nune began her college career as a student at Pasadena City College, a community college in California. In 2017, she was admitted into Yale University as one of four community college transfer students. Now, she is a rising junior pursuing a degree in political science. During her time at Pasadena City College, she was heavily involved in local politics while taking classes full-time. At Yale, Nune is involved with the Yale Armenian Network, Mental Health Educators, Office of Public Affairs and Communication, and is an Academic Strategies Mentor. In addition to her campus roles, she is a counselor for transfer students starting their first year at Yale. Last summer, she advocated for free community college as an Outreach and Engagement Fellow with the College Promise Campaign. When we ask Nune what being FGLI means to her, she says, "To me, a large part of being a first-generation, low-income student is being in a community of like-minded, understanding people. I learned early on that each student is different. Everyone has their own goals and external responsibilities, and often times, you cannot predict what someone else is going through or has experienced in the past. Some students work full-time while taking intensive courses just to get by. I saw this at my community college and I see it at Yale. The difference is that at Yale, you’re given the financial resources to succeed and reach new levels of achievement. To FGLI students, I would advise you to take advantage of the resources offered at Yale. Look into what opportunities are available to you as an FGLI student, such as study abroad, scholarships, federal work-study, fellowships, etc. Reach out to upperclassmen within the FGLI community and take note of how they’ve made the most out of their time at Yale. Institutionally, don’t be afraid to ask questions. Talk to the financial aid office, seek academic support, and know that you earned your spot at Yale and you deserve to be here just like everyone else. Your differences are your strengths." This week we want to shout out Christian hailing from Waterbury, CT who returns to the East after a summer in Brazil as part of the Yale Summer Session in Paraty & Rio de Janeiro Elementary Portuguese program. "I’ve now been on this earth for 19 years and I can safely say this past year has been the craziest I’ve had yet. At around this time last year, I was filled with regret and fear. I was going into my freshman year at Yale with a feeling that I did not belong. Feelings like this only intensified as the year went on. During my time in high school, I became accustomed to hearing things like ‘You think you’re better than the rest of us now?’ for simply wearing a hoodie from the university I would be attending. I received the most support from my own family as faculty and even longtime friends questioned my intelligence and my right to attend such a prestigious university. Even at Yale, it felt as if my own support system going in was much different from that of fellow low-income students who were able to tell stories of how their schools and communities fully supported their accomplishments. Thankfully I’ve learned to push past the barrier of self-doubt as I’ve come to meet some amazing people. People who care about me more than I care about myself at times. I’d like to dedicate this post to all of them. Without you, I don’t know where I would be. ❤️"
Let us know what you're up to and what accomplishments you want to share with everyone!